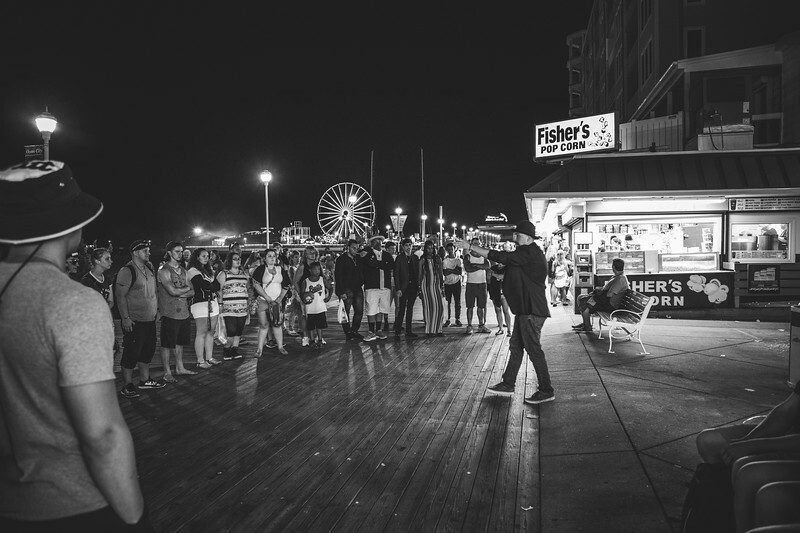 One thing that is hard to miss on the Ocean City Boardwalk are the street performers. Over the years you start to become familiar with more and more of them. This year we spent a while looking for the Golden Man. He has been a favorite of the kids for quite since I have been going on these trips. We never found him, but we did find the man under the paint. 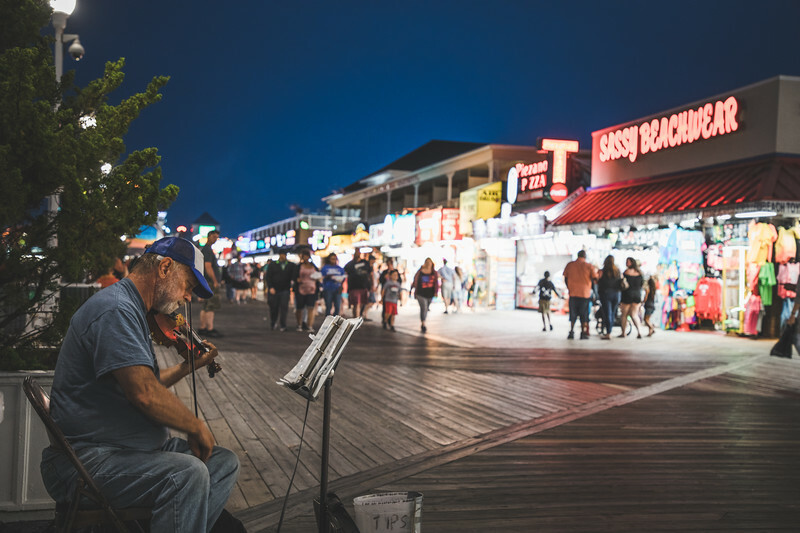 He is now singing on the boardwalk as a one man band. When one person leaves a spot another person fills it. 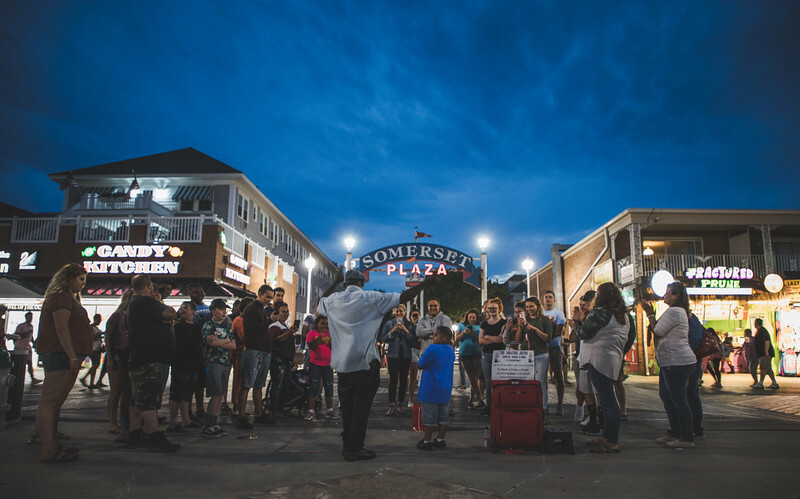 There has to be a sign up sheet as it seems too convenient the way that people line the boardwalk. 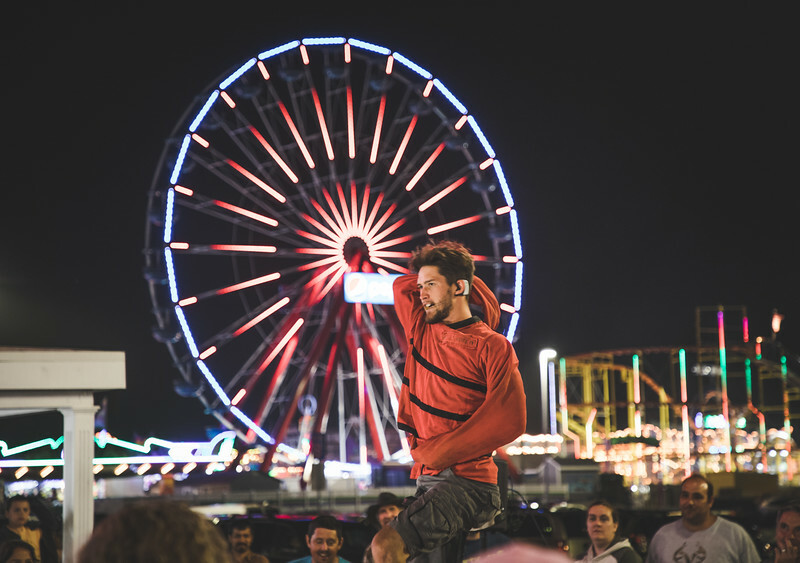 As you can see in this post sometimes I photograph the performers doing their thing. More often than not though I just watch them. 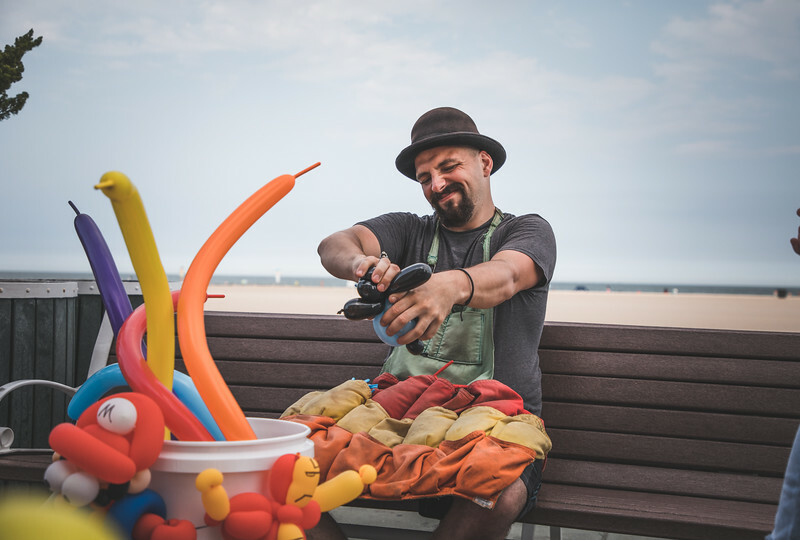 Here are a few of my favorite photos of the performers on the boardwalk. I did not photograph too many of them this year. I was not out there when they were in full swing as much as I have been in past years.